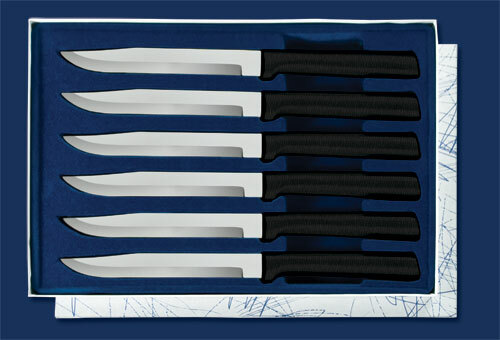 Six Utility/Steak knives (4 7/8″ blade, 8 3/4″ overall). 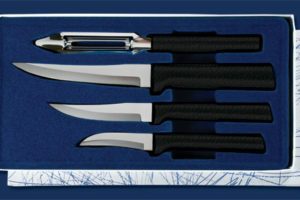 Provides smooth cutting action for Filet Mignon, Top Sirlion, Mahi Mahi and Ham Steaks. Wonderful Birthday gift.